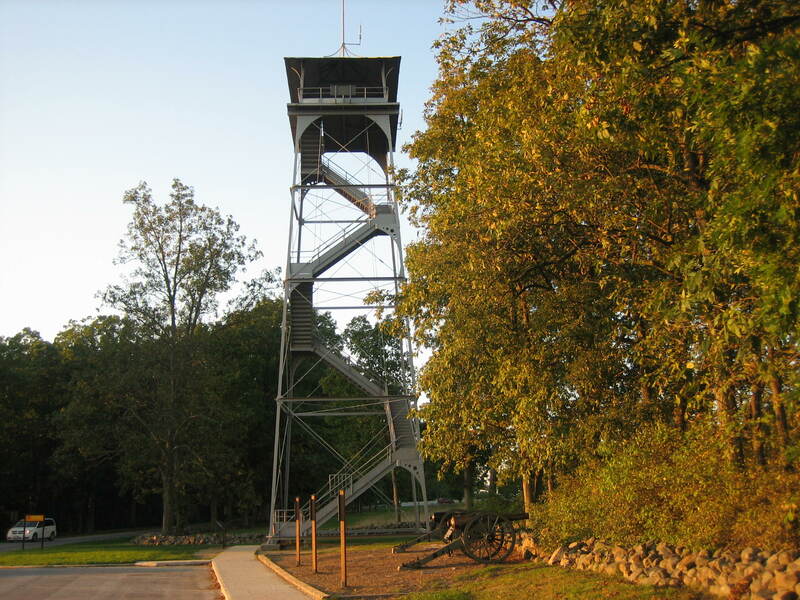 The Longstreet Observation Tower in 2008.This view was taken facing north at approximately 6:40 PM on Wednesday, September 17, 2008. Sunday afternoon’s view from the Longstreet Tower. You can view past entries in this panorama series here.This view was taken at 5:15 PM on Sunday, May 14, 2017. For the larger JPEG version, click here or click on the thumbnail to enlarge it. If you’d like to see the uncompressed TIFF file, you can download it here (42 MB). 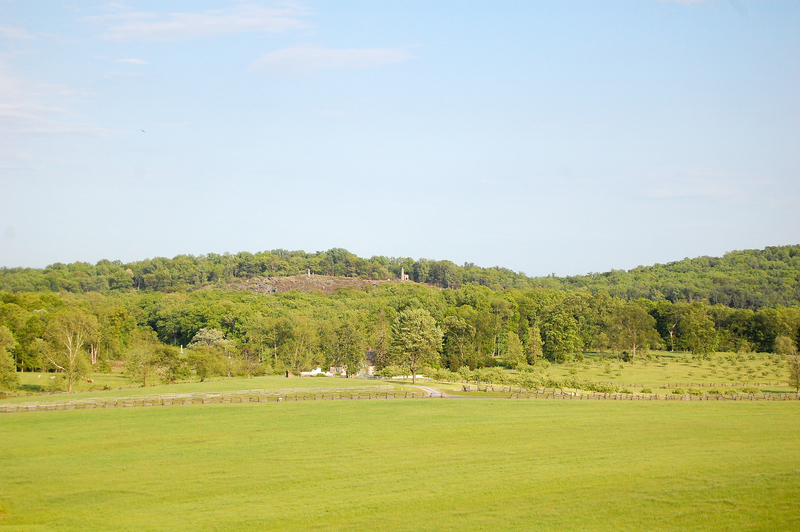 The summit of Little Round Top is one mile from the camera.This image was taken facing east at approximately 5:15 PM on Sunday, May 14, 2017. 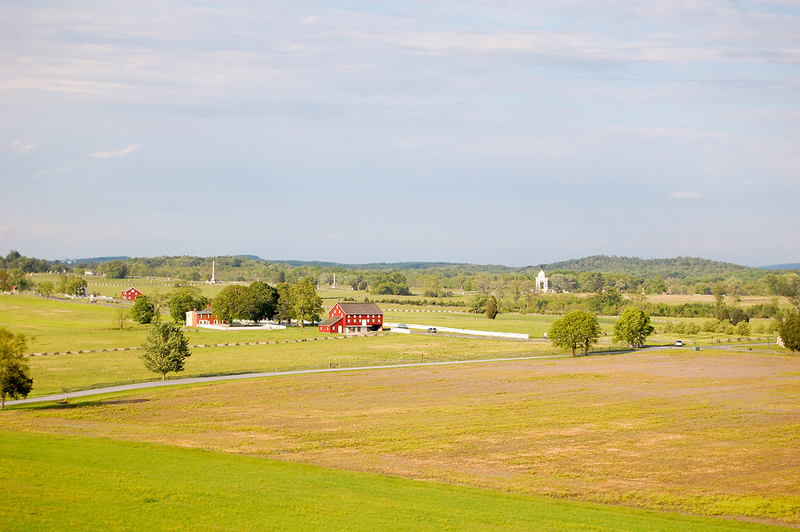 The red barn on the Emmitsburg Road in the center of this photograph is the Joseph Sherfy Barn.This image was taken facing northeast at approximately 5:15 PM on Sunday, May 14, 2017.